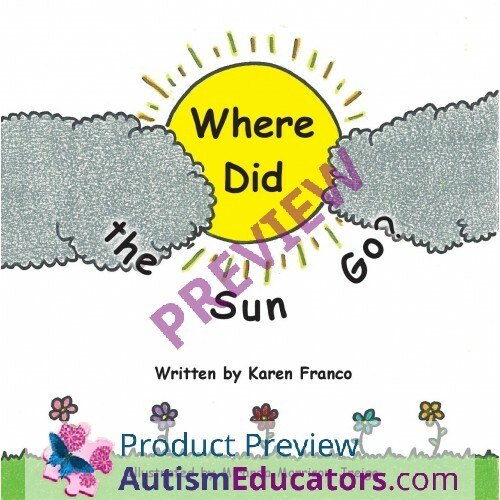 This children's book talks about when the weather changes, so can behaviors. 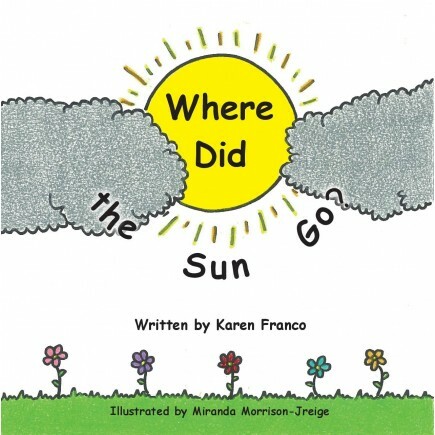 "Where Did the Sun Go?" touches on how a stormy day affects Jacob. But with positive reassurance, constant interaction, as well as fun distractions, Jacob learns how to cope with the storm. Knowing the sun will be back soon helps to keep Jacob calm and puts a smile back on his face. Given a social narrative to help remain calm during a situation perceived as stressful (weather event), STUDENT will read or listen to the social narrative and state one thing that may occur, how he/she may feel during the event, and what STUDENT can do to remain calm, in 4 out of 5 trials, by MONTH, YEAR.